Dog Training Classes: The next training classes start 6th April 2019 in Weymouth & Sherborne. Contact Sarah for further information and to book. If you would like some general advice on care, housing, feeding etc., of your small furry then I will be more than happy to speak to you over the phone. 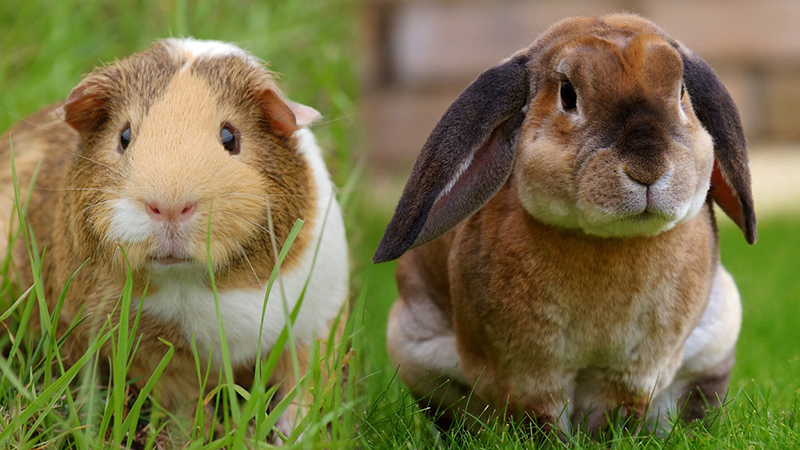 You can also visit The Pet Experience Pet Education Centre for basic advice on the care of all small animals. If you have a more specific problem with your small furry then I am available for Behaviour Counselling sessions to address issues such as aggression, handling, socialising your existing pet with a new one and any other more complex problem. A small animal session would normally last about 1 hour and costs £35*. Always remember that your small furry is a prey animal and will react very differently to stressful situations than a dog or a cat. Small animals always need to feel safe and secure and may not wish to be handled as much as you (or your child) want to handle them! Also, though small they are not brainless and still need things to do in their lives to prevent boredom and depression. If you are thinking of buying a small animal as a pet for your child I would be more than happy to speak to you about the best type of pet for your child’s age-group, as well as advising you on how to give your small furry the best possible life with you once you bring them home. I also highly recommend that you buy any small furry from a reputable breeder rather than a pet shop and we are able to give you details of local breeders at our Pet Education Centre. *A nominal mileage charge will apply to appointments over 20 miles away. TPE Training & Behaviour Ltd, Corscombe, Dorset. 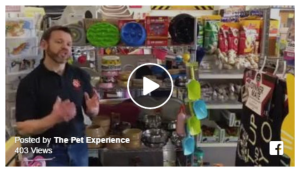 Please click here to see the latest videos from The Pet Experience. NEW IN! Easterbrooks Giant Breed dog food now available! The Pet Experience wins ‘Best Overall Retailer’ in 2017 Dorset Echo Industry Awards! Teepee Grain Free pet food now in stock! The Pet Experience encompasses 2 separate businesses (The Pet Experience Ltd & TPE Training & Behaviour Ltd). The Pet Experience Ltd (est. 2007) specialises in pet nutrition & welfare whilst TPE Training & Behaviour Ltd (est. 2006) deals with all aspects of Dog Training & Pet Behaviour including Instructor Courses for those wishing to become a qualified Dog Trainer or Behaviourist. Both businesses have earned strong reputations for quality, professionalism and value in their respective fields, with word-of-mouth being the biggest contributor to this.